Coming Soon – All New Album from Baruch Levine! 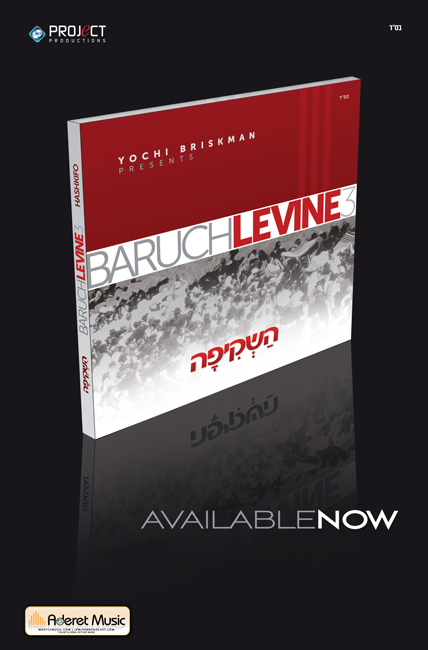 Baruch Levine is back with an all new album, featuring 11 amazing songs composed by Baruch. The CD is produced by Yochi Briskman of Project Productions. The arrangements on the album are by Baruch as well as Yanky Briskman. Aside from 10 brand new songs there is the completely redone “Refuah” first sung at last the smash hit Caesaria II CD/DVD. It’s another jam packed, musical explosion featuring exciting new songs and fresh arrangements. For the first time, as a bonus, Aderet Music and Project Productions are offering an instant download of the album with every purchase of the hard CD. The album will be available online through MostlyMusic.com and distributed by Aderet Music.